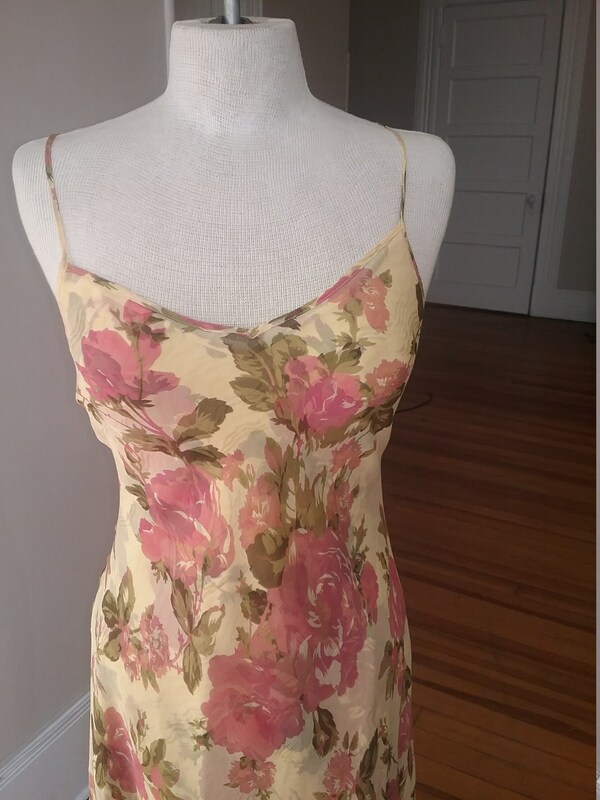 1990's, silk chiffon, Betsey Johnson dress with attached underslip. 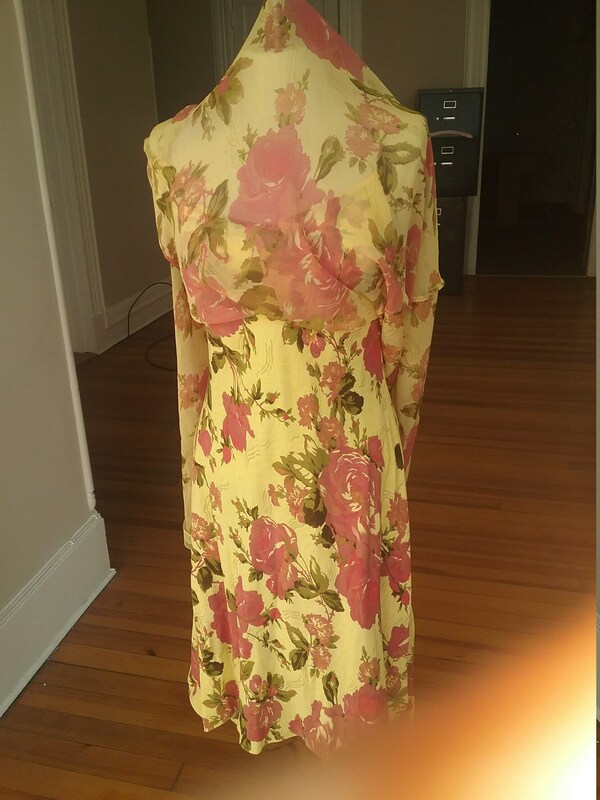 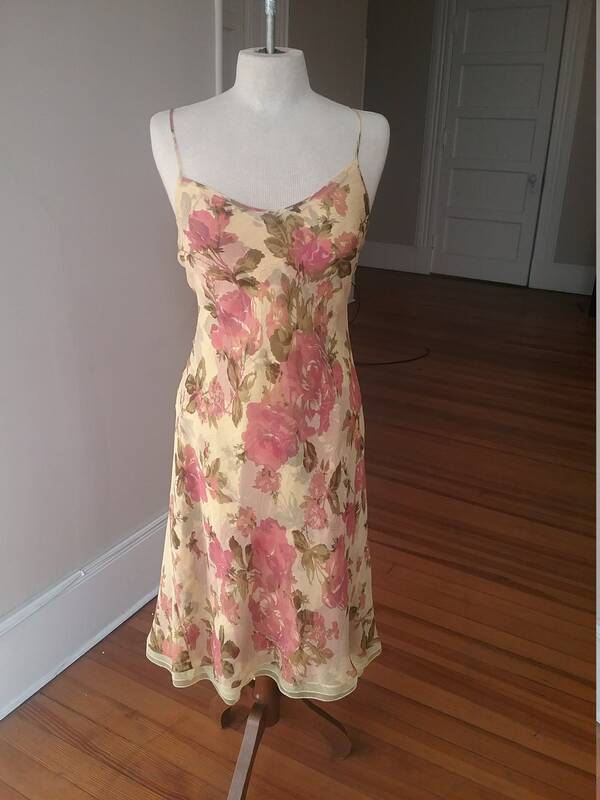 Dress has yellow background with print of large red roses. 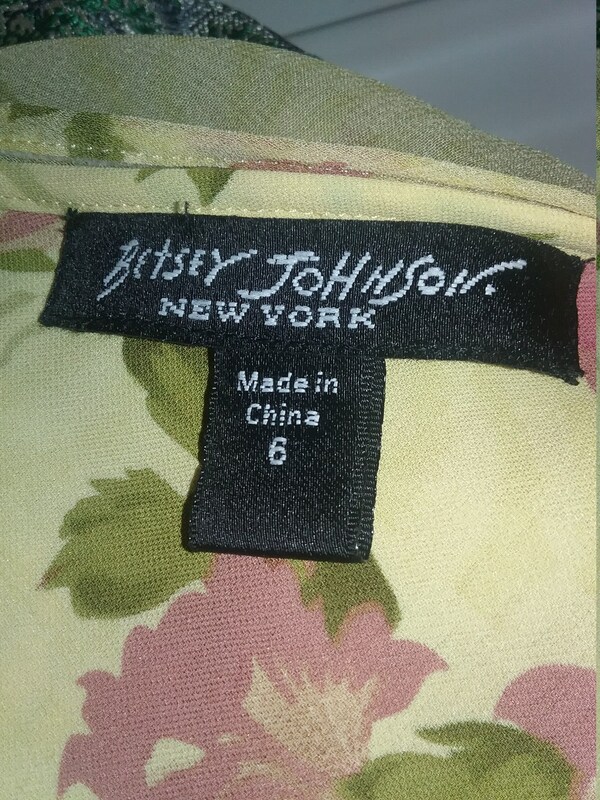 Label reads " Betsey Johnson ". 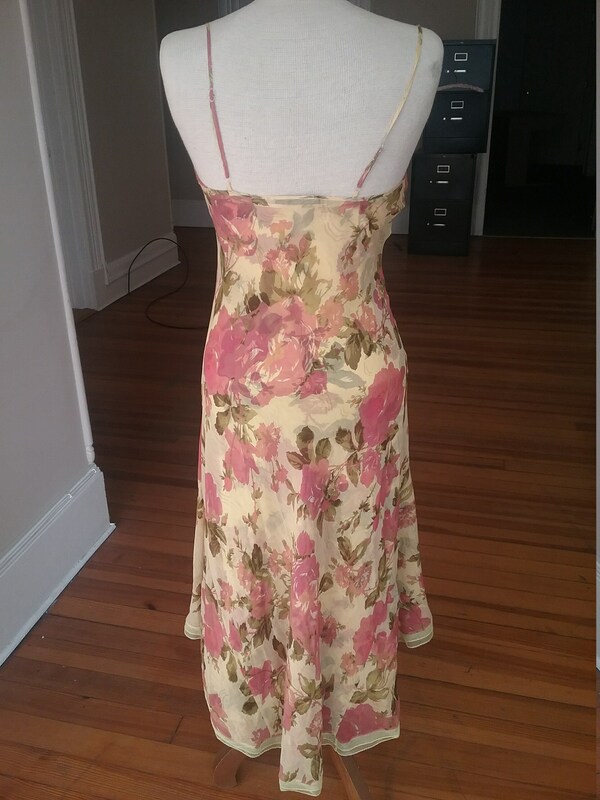 Shoulder to hem front 36"
Shoulder to hem back 45"